With the continuous and sincere efforts of our deft professionals, we are manufacturing and exporting a quality range of Ceramic Rods. Price shown is only for reference. Actual price depends on size, material and quantity required for each item. We manufacture ceramic rods for axial lead resistors from the very best available material in the market. We also manufacture NS, HF, TIA and tubes up to 55 mm diameter and 900 mm long. These Ceramic products are used for soldering gold articles. With rich industrial experience, we manufacture and supply wide range of Ceramic Rods. These rods are very straight without any bend and are diamond polished with shining surface. These Ceramic products are used for soildring gold artieals. Ceramic Material - Alumina or Zirconia. 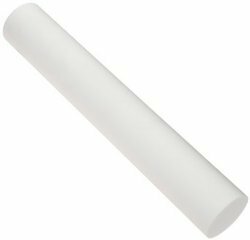 Ceramic Rods And Tubes Yogdeep offer advanced range of Ceramic Rods and Tubes.They are available in various shapes like round, square and rectangular, our range is custom designed as per the stated specification of the clients. - Used to hone the knives and maintain the edge. 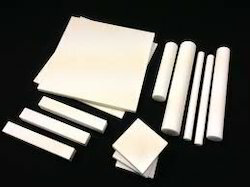 Ceramic rods are made from high alumina Al2O3 99.7% ceramics content. These rods are very straight without any bend and are diamond polished with shining surface. Ceramic rods are suitable for wire industry, cable industry, textile industry, rayon, silk, polyster and silk industry. Nevertheless of the rich amount of proficiency which we have been able to procure in this industry, we have been offering with a very affordable and genuine series of Ceramic Rod. We offer advanced range of Ceramic Rods and Tubes . These are widely used in Ceramic Rods and Tubing products. Available in various shapes like round, square and rectangular, our range is custom designed as per the stated specification of the clients.